RIO DE JANEIRO (AP) — Brazil’s Workers’ Party is comparing far-right candidate Jair Bolsonaro to Adolf Hitler in a new video. 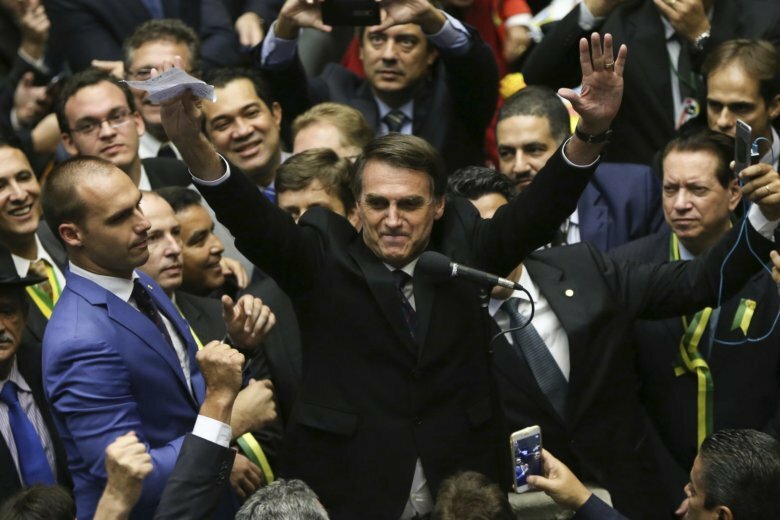 The video was published Thursday from the party’s Twitter account and comes as Bolsonaro is seeing a rise in the polls. The congressman and former army captain commands 32 percent of voter support ahead of Sunday’s election. He is trailed by Workers’ Party candidate Fernando Haddad, who has 21 percent of support among those polled. Bolsonaro has a history of controversial statements. The video shows him making offensive comments and includes images of Hitler. Bolsonaro can be seen arguing that voting “won’t change anything” and saying that only a civil war will solve the country’s problems. The candidate has gained about 10 percent in the polls since being stabbed while campaigning last month.